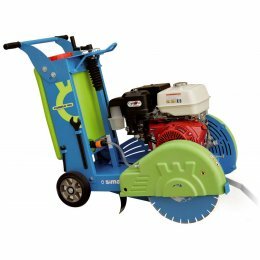 Professional Deep Concrete and Asphalt saw Cobra 450 cm floor / road saw. Deep precise cutting capacity with cutting depth guage. Polypropylene water tank.